Agents Beadnall Copley say this is a deceptively spacious property, with over 3000 square foot. It offers an abundance of modern family living throughout with five bedrooms, three reception rooms, three bathrooms and additions such as a utility room, separate study and integral double garage with impressive gardens surrounding. 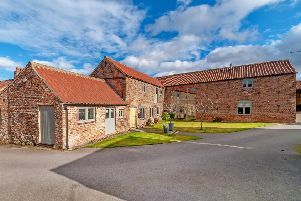 It is in the sought after village of Mickley and in the catchment area for the renowned Ripon Grammar School. Contact Beadnall Copley 01765 698100.